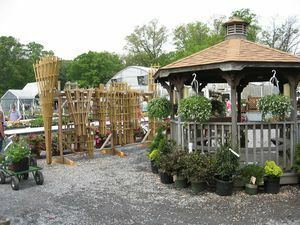 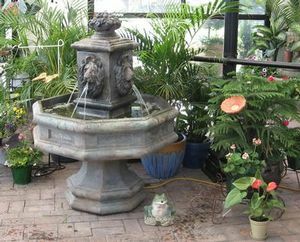 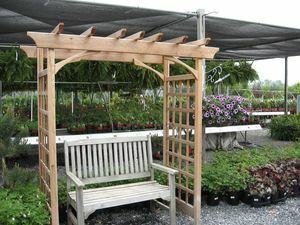 Fountains, Statuary, Yard Ornaments, Trellises and More! 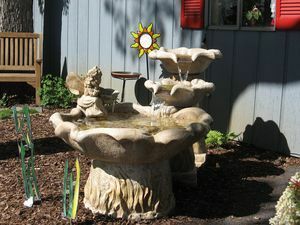 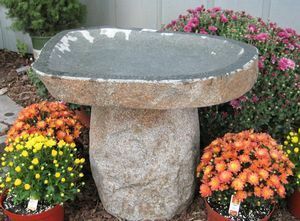 Milmont also has a wide variety of outdoor decor to complement the landscaping in your yard, garden and patio. 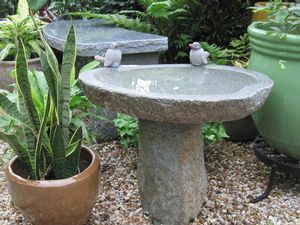 From wind chimes to bird feeders to paving stones, we've got you covered from top to bottom in your special sanctuary. 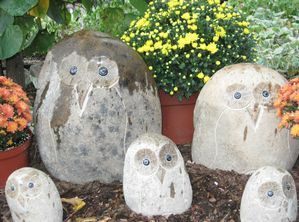 Granite Boulder Owls by Stone Age Creations. 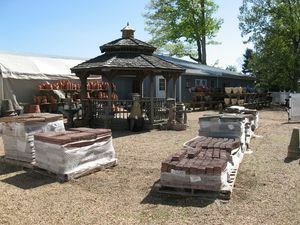 Stop in and browse our store and retail area or call for a current selection of statuary and benches. 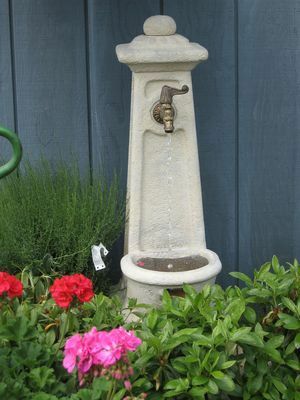 If there is something you are unable to locate, a Milmont associate will be happy to assist you. 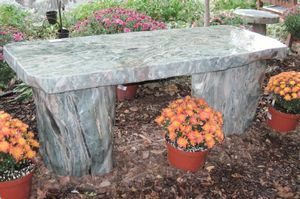 And, if we don't have a specific piece in stock, we can order it. 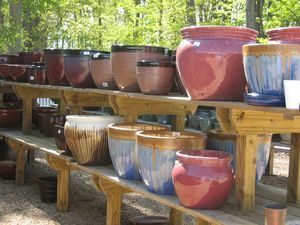 We love helping you beautify your outdoor spaces. 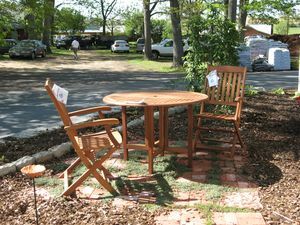 Call (540) 943-8408 or email us at milmont@milmont.com.